TOP TIPS FOR GETTING TRADE JOBS IN AUSTRALIA! Date 09.08.2017 We’ve got you covered! Before wondering whether you can secure a trade job in Australia, be sure to check the Skilled Occupation List to see if your trade is listed as a trade job that Australia needs to fill. Check here! To prove to the Australian Government Department of Immigration and Border Protection that you have the right skills to meet your occupation, you will need to take a Skills Assessment before leaving the UK. The good news for you guys is that here at the Down Under Centre, we specialise in trade skill assessments! If you’re looking to get your skills transferred into Australian qualifications get in touch with us today! Find out more here. Doing this is important if you have a specific job in mind. For example, if you want to work as an electrician, you’ll need to have enough training so you can do your job well and keep yourself safe at all times. Make sure to obtain your training from a reliable and reputable organisation. The Skilled Visa operates on a points system so your qualifications will help you obtain the points you need to secure your visa for Australia. Before you can get a trade job in Australia, you should first get an OH&S General Induction Certificate, which is commonly known as a White Card. This is required for anyone who works on a construction site; if you’re caught working without one, you will be made to pay a hefty fine. To get your White Card, you’ll need to take an occupational health and safety course with a certified training organisation once you arrive in Australia. 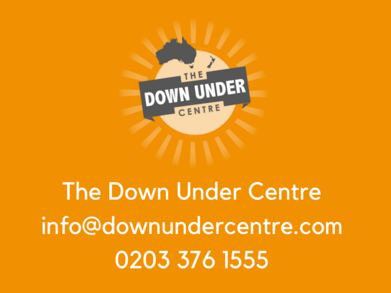 You can obtain your white card with the Down Under Centre, have a look at our courses page today! It’s always advisable to apply labouring jobs in Australia when you arrive so you can personally speak with potential employers. But this doesn’t mean that you can’t check online jobs boards before arriving in Australia. You can browse online job boards that advertise trade jobs in Australia to try and secure a job in Australia before you arrive, making your move more smooth! The Down Under Centre has many top Australian employers who are looking to employ qualified tradesmen as soon as possible; find out more about available jobs here.